Rutgers DCS hosted the 2018 Summit on Scalability and Diversity in Computer Science Education. Dr. David Stork presents Rigorous computer image analysis in the study of fine art (April, 2018), or if you prefer, audio-only. Dr. Craig Yu presents Human-centered Computational Design driven by Perceptual Data and Creative AI (January, 2018), or if you prefer, audio-only. Here also is the remote-connection view. Dr. Pranjala Asasthi presents Interactive Machine Learning (CC, January, 2018), or if you prefer, audio-only. Dr. Canturk Isci of IBM's Watson Research Center presents Operational Visibility and Analytics Designed for Cloud (December 2017) -- or, if you prefer, audio-only. Dr. Paul Messina on The US D.O.E. Exascale Computing Project -- Goals and Challenges (with -- CC, October, 2017) -- or, if you prefer, audio-only. Computational Astrocyence by Dr. Konstantinos Michmizos (December, 2017) -- or, if you prefer, audio-only. Learning to Manipulate Objects by Dr. Abdeslam Boularias (December, 2017) -- or, if you prefer, audio-only. Some Combinatorial Problems in Robotics by Dr. Yingjin Yu (November, 2017) -- or, if you prefer, audio-only. People, Spaces, Stories, Play, by Dr. Mubassir Kapadia (October, 2017) video -- or if you prefer, audio-only. From Potential to Promise - Developing Scholars, One Eureka Moment at a Time by Dr. Rajiv Gandhi (October, 2017) -- or, if you prefer, audio-only. Highrate Error Correcting Codes with Sublinear Time Decoding by Dr. Shubhangi Saraf (October, 2017) -- or, if you prefer, audio-only. Computer Systems for Brain Sciences by Dr. Abhishek Bhattacharjee (October, 2017) -- or, if you prefer, audio-only. Simulation-enhanced Visual Computing for Real World Applications by Dr. Mridul Aanjaneya (October, 2017) -- or, if you prefer, audio-only. Practical Formal Methods for Mainstream Compiler Developers by Dr. Santosh Nagarakatte (September, 2017) -- with CC. Or, if you prefer, audio-only. Audio and Slides Synchronized closed-captioned. Dr. Lance Fortnow of the Georgia Institute of Technology presents Bounding Rationality by Computational Complexity (November 2013) - mp4, mp4 (with cc), slides. Dr. Garcia's talk, slides synchronized with audio, 640x480, or 320x240. Questions and Answers after Dr. Garcia's talk 640x480, or 320x240. Dr. Garcia's talk, slides synchronized, closed-captioned. Questions and Answers 640x480 (mp4), 320x240 (mp4), audio-only (mp3). Dr. Kalantari sponsored the DIMACS Workshop on Algorithmic Mathematical Art: Special Cases and their Applications. The link will provide you with video and audio from the presentations, you may also connect to the Rutgers ITunes-U site to view these. Dr. Nima Arkani-Hamed spoke on March 1, 2008 for the Irons Lecture on New Dimensions in Space and Time. Slides, and audio podcast and an audio-and-synchronized-to-slides video podcast are available at the link. Dr. Craig Nevill-Manning, Director of Engineering, Google New York on finding information the Google way (2004). The Rutgers MS in CS program hosted the Awards for best projects in Spring of 2018 on May 1, 2018. The Rutgers "STEAM" (STEM x Arts) student group hosted a panel discussion on "Careers in STEAM" on April 13, 2018. 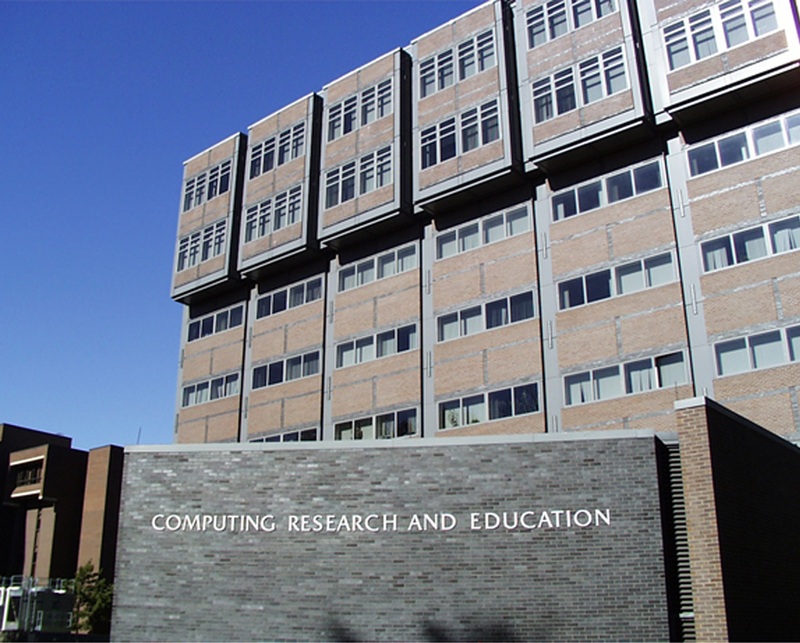 Rutgers Hosted the Greater NY Regional ACM Programming Contest in October of 2010. The event was a great success, with 48 student teams trying to solve computing problems as quickly as possible (in the five hours of the contest) -- the winner going on to the Internationals in March. On March 26, 2011, over 100 programmers turned up at Rutgers' Hill Center for a 24-hour programming frenzy in search of actualizations of clever ideas and data manipulation. More info on HackRU can be found here. May 19, 2013 saw the Graduation Ceremony for Computer Science graduates. A December 5, 2006 presentation by Hanz Makmur of LCSR describing our response to the tsunami of spam. You can view any of the talks in a variety of formats, including podcasts. (These presentations produced by LCSR). On April 4, 2006, a symposium on the impact of national directions in cyberinfrastructure was held in New Brunswick, Newark, Camden, and Washington DC. You can view any of the talks in a variety of formats, including lecture123 and podcasts. (These presentations produced by LCSR). Presentation of honors to graduating seniors, May 2010. Presentation of honors to graduating seniors, May 2009. Presentation of honors to graduating seniors, May 2008. Presentation of honors to graduating seniors, May 2007. In 2003, the Undergraduate Student Alliance of Computer Scientists hosted a panel discussion on Academic Integrity. A demonstration of Aldebaran's Nao robot humanoid in May of 2011. The DCS Hackerspace is OPEN! Its open in a NEW LOCATION! Makerbot: Information Technology Challenges in Defense and Intelligence". (October 19, 2005.) (realaudio format only, sorry) video and audio, audio only. Here are links to various video files of interest in the history of computer science. If links go bad (because some are linked to youtube, and may go stale), please send mail to help AT cs.rutgers.edu. In 1968, Doug Engbard at SRI presented one of the most important -- for computer interaction -- demonstrations ever. In it, he and his associates presented the first example of a computer mouse, AND the first example of a 'chord' keyboard. Mice revolutionized computer interaction (a decade or so later), and we have yet to integrate chord keyboards (so they are presented at least 40 years ahead of their time.) This link will take you to one of several versions of the talk, or if you want, you can jump right to the best one. A promotional film made by IBM UK in 1965 -- "Man and Computer. a 1990 promotional film, How Computers Work - Journey into the walk-through computer. A short introduction to Charles Babbage, and his famous mechanical 'difference engine'. Endgame -- an overview of the history of computer chess. A 2005 panel discussion, From Gutenberg to Galaxy -- accessing cultural assets online. A 2005 discussion of the 40th Anniversary of Moore's Law. A 2006 discussion of the GRiD Compass, the first laptop, introduced in 1982. A 2006 discussion of the evolution of social computing. an evening with Robert Brunner and Jerry Manock, apple industrial designers in 2007. A 2007 presentation on the computers before electrical or electronic computers -- the human computing banks, "When Computers Were Human"
A 2007 talk on the 25th anniversary of the Commodore 64, a personal computer (and a company) that is long gone but quite influential in home computing and television. a 2007 talk concerning the IBM 360 revolution. Computing can really be thought of divided several ways, including a divide before and after the IBM 360. A 2003 discussion of Game Design with Will Wright, designer of SimCity. A 2004 discussion on Computer Graphics in Games, with Wright, and Rand Miller, designer of Myst. A 2008 discussion of the 40th anniversary of the DynaBook, including Alan Kay. Please forgive the superfluous political posturing at the beginning. A 2008 interview with Gordon Moore (as in "Moore's Law"). A 2008 discussion of the role of intellectal property in the digital economy, with Lawrence Lessig. Some events available via podcasts, or realmedia presentations. Pages engineered by Charles McGrew. Copyrights held by rellevant entities.